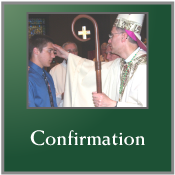 Christ instituted the sacraments of the new law. 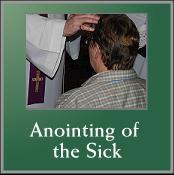 There are seven: Baptism, Confirmation, the Eucharist, Penance, the Anointing of the Sick, Holy Orders and Matrimony. The seven sacraments touch all the stages and all the important moments of Christian life: they give birth and increase healing and mission to the Christian’s life of faith. 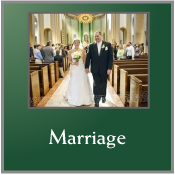 The Sacraments of the Church ground us in a deep, loving relationship with our God. 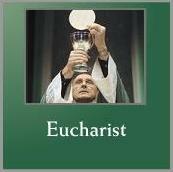 In Catholic life the Sacraments are means of grace that deepen our life with Jesus Christ and the Church. 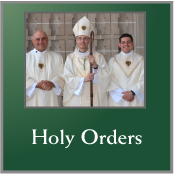 Cathedral Parish makes every effort to prepare recipients for these treasures of the faith which we call sacraments. 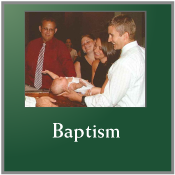 Catechesis (instruction and preparation) for the sacraments of Infant Baptism, First Reconciliation, First Eucharist, and Confirmation is family centered and parish based. 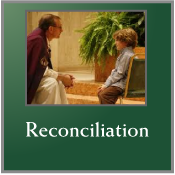 With our children and youth, additional preparation is provided by Altoona Central Catholic School, Bishop Guilfoyle Catholic High School, and the Religious Education Program. Persons with disabilities are offered sacramental formation in a communal setting and in an appropriate manner.